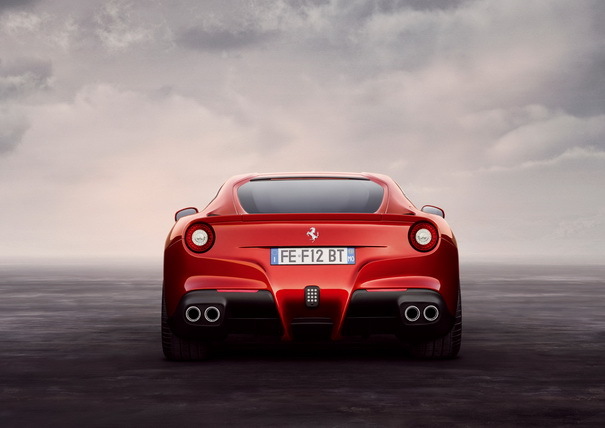 Ferrari has revealed the first images and information on the F12 Berlinetta, the most powerful and fastest Ferrari ever built, with a new V12 delivering 740 hp and a new aluminum space-frame. 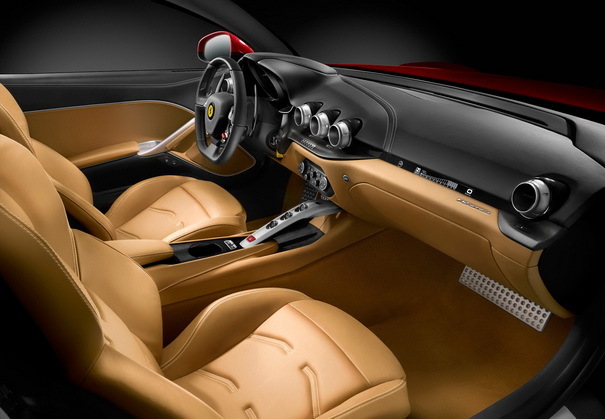 Ferrari’s traditional transaxle layout has been revolutionized to match the more extreme performance of the car. 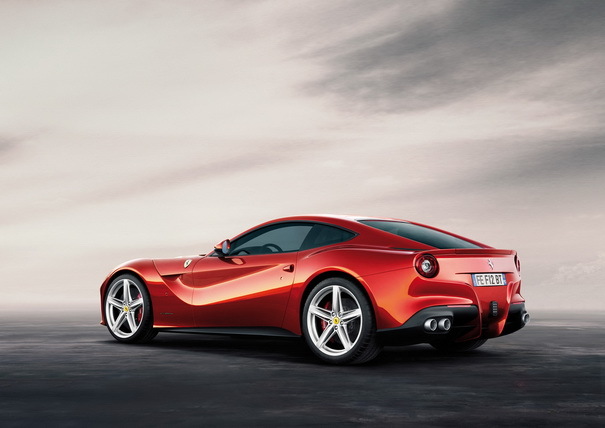 The wheelbase has been shortened and the engine, dashboard and seats have been lowered in the chassis, while the new layout of the rear suspension and gearbox enabled Ferrari’s engineers to make the rear volume of the car smaller. 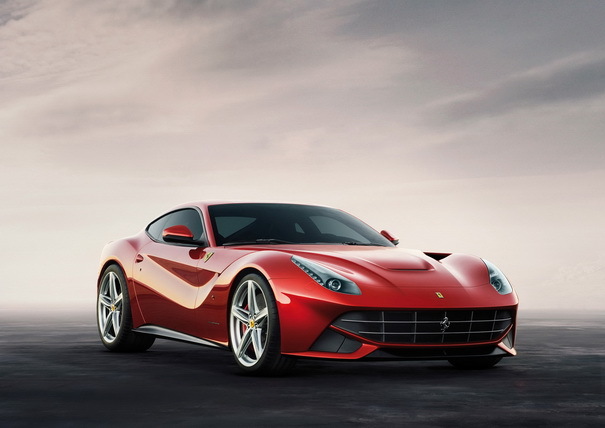 The overall result is a very compact car with a lower centre of gravity that is further back in the chassis, and a level of aerodynamic efficiency that sets new standards. 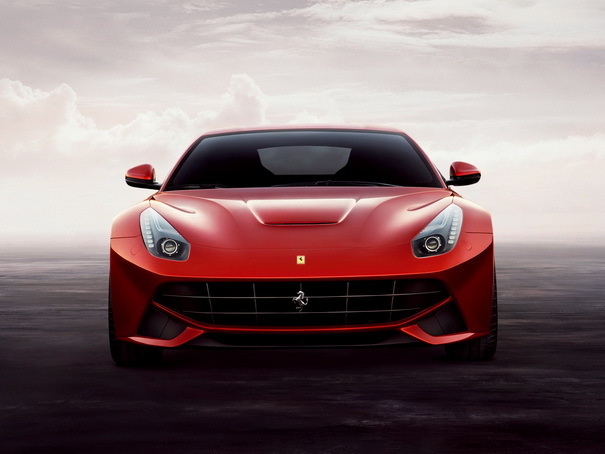 Scaglietti, renowned for its expertise in aluminium materials and construction, designed an all-new spaceframe chassis and bodyshell using 12 different kinds of alloys, some of which have been used here for the first time in the automotive sector, and employing new assembly and joining techniques. 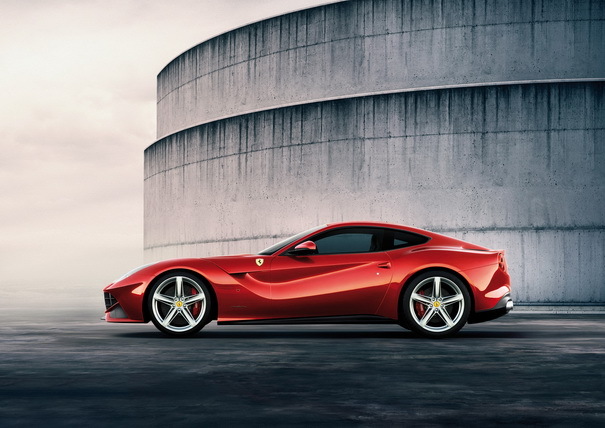 This has resulted in a 20 per cent increase in structural rigidity while reducing weight to just 1525 kg (70 kg less than the previous V12 coupé) with an ideal distribution between the axles (54 per cent over the rear).